Different projects of large-span steel construction points, what is a reasonable design? 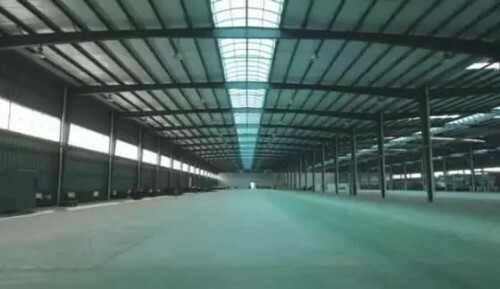 Large-scale public buildings and industrial buildings have the shadow of long-span steel structure, long-span structure is mainly under self-weight load, in order to reduce the weight of the structure, it is often appropriate to adopt steel as the main structure. According to the problems encountered in the construction of the past, we mainly grouped into three categories. Before construction, the design of long-span steel structure construction should be optimized, especially in calculation and analysis. Many projects will not count, do not count, resulting in poor construction quality of the project, or the cost becomes high. So in terms of calculation and analysis which parts? Firstly, the synergistic work of upper and lower structures should be taken into account.The most reasonable method for considering the coordination work of the upper and lower parts is to calculate the seismic function according to the overall structure model.The simplification of the lower structure must be based on the principle of reliability and the dynamic principle, i.e. the validity of the stiffness and the quality equivalent should be considered. Use software to model the design model and carry out calculation and analysis. 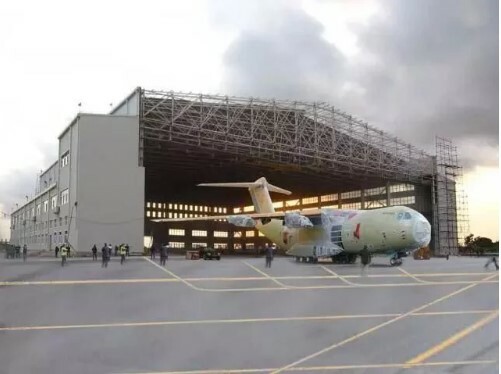 Specific operation, should be reasonable to determine the calculation model to ensure that the roof and other structures and main support parts of the connection and structure consistent. In addition, force analysis should also be considered. In addition to calculating the overall structure of the simulation after the formation of the force situation, but also take into account the special stress during the construction process, to avoid the formation of the structure because the partial force exceeds the design value of the damage. For the calculation of construction process simulation needs to consider the components of lifting, working conditions of different stages of construction, pre-deformation technology, pre-assembled components, unloading and so on. Structural layout should avoid weakening or mutation due to the formation of weak parts, resulting in excessive internal forces, deformation concentration. For possible weak areas, measures should be taken to improve the seismic capacity. Therefore, in the structural layout, should ensure that the quality and stiffness distribution and structural integrity and force transmission clear. The seismic action of the roof should be effectively transmitted downward through the support; to avoid concentration of roof internal forces or large torsional effect, the layout of roof, support and substructure should be uniformly symmetrical; to ensure the integrity of the roof structure, Therefore, priority should be given to the use of space force transmission system to avoid weakening or abrupt local weak spots; light roofing system should be adopted, so the unit weight of roofing system should be strictly controlled. The complexity of long-span structures and the diversity of construction methods determine the need to combine construction considerations in the design process. This is also the place where design is often overlooked or overlooked. Construction mainly involves the following installation techniques. Due to the need of partial force complication, all kinds of steel structures with large-span and complex space shape are difficult to be made, so the construction of structural elements and special-shaped nodes should be considered in the construction of complex engineering projects to ensure that the engineering conditions Quality and Safety.